For the first time, Joel Coen will be directing a film without his directing/writing/producing partner in crime, his brother Ethan. 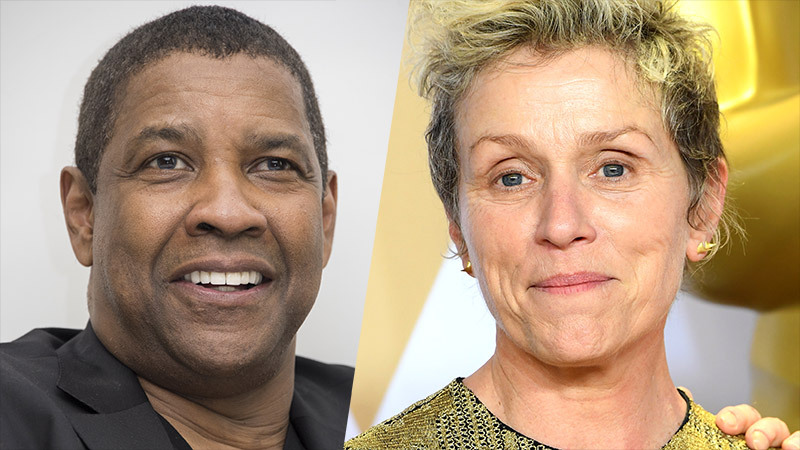 Variety is reporting that Oscar winners Denzel Washington (Training Day, Fences) and Frances McDormand (Three Billboards Outside Ebbing, Missouri, Fargo) will be starring in Coen’s Macbeth, who will direct from his own original script. Washingon recently starred in The Equalizer 2, which marked his first sequel. Other credits include Fences, his feature directorial debut, The Magnificent Seven, The Book of Eli, Safe House, 2 Guns, Flight, The Taking of Pelham 123 and Training Day. He will next be shooting Little Things for Warner Bros. before Macbeth, followed by directing Michael B. Jordan’s Journal for Jordan. McDorman recent projects include Isle of Dogs and her award-winning role in Three Billboards Outside Ebbing, Missouri. Her credits also include Olive Kitteridge, Moonrise Kingdom, Almost Famous, Burn After Reading, and the Coen brother’s Hail, Caesar! Upcoming projects include Good Omens, Wes Anderson’s The French Dispatch, and Nomadland. Oscar winner Coen and his brother’s recent Netflix feature, The Ballad of Buster Scruggs, earned the filmmakers an Oscar nomination for best adapted screenplay. Production on Macbeth is slated for the end of the year. Scott Rudin is producing with A24 attached to distribute.